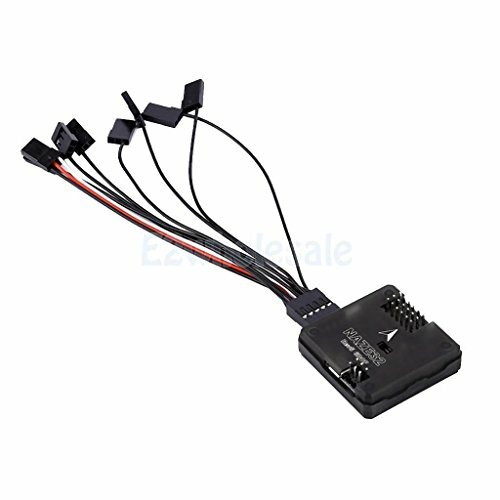 Naze32 Flip32 6DOF Flight Controller Control Board for QAV250 Quadcopter by e2wholesale at Open Drone. Hurry! Limited time offer. Offer valid only while supplies last. Naze32 Flip32 6DOF Flight Controller Control Board for QAV250 Quadcopter SKU: BE000114017083 Features: 100% Brand new and high quality!! 32 6DOF Flight Controller for Multirotor Quadcopter Drone Modern GUI for all operating systems, Base flight Configurator Extra bright LEDs Onboard USB for setup and configuration Modern 32-bit processor (STM32 F103) running at 3.3V/72MHz.